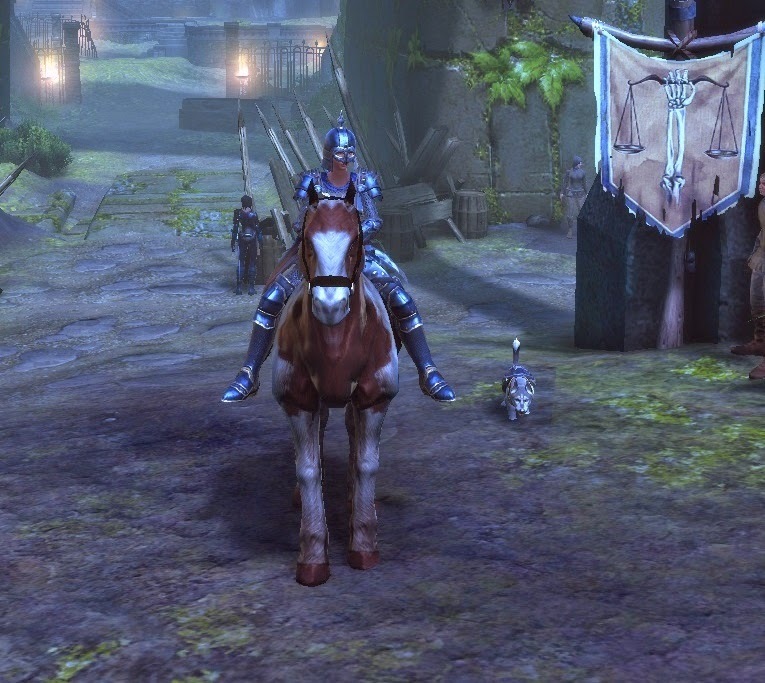 Mounts are one part of the game where I feel that spending real money gives you a considerable advantage over a free player, especially while levelling. The basic mounts you can buy for gold are very slow and offer only minimal protection against being dismounted. You might be able to acquire a slightly better one during an event, but the really good ones generally only come from the Zen store. At max level you can grind out Astral Diamonds to buy a Zen store mount from another player, but while levelling you're basically hosed if you don't want to shell out real cash. Admittedly not everyone will perceive the increased dismount protection the same way, but I found it very noticeable. On a basic mount you get knocked off if you take three hits within five seconds. On a purple quality mount five hits are required. This may not seem like much of a difference, but you have to consider that most groups of enemies in the game consist of three to four mobs. On a basic mount, your chance of getting dismounted and being forced into combat at a bad time (which might possibly even lead to your death) is therefore pretty high. On a purple mount, you'll be able to continue riding even if every mob in any given group gets a hit in. I know that for me, buying a fast mount made a huge difference and made the mere act of moving around the map a lot less stressful. If you're going to spend real money on anything at all, I recommend a mount. Ever since hitting the level cap, my pet tank and I have been busy doing dailies. 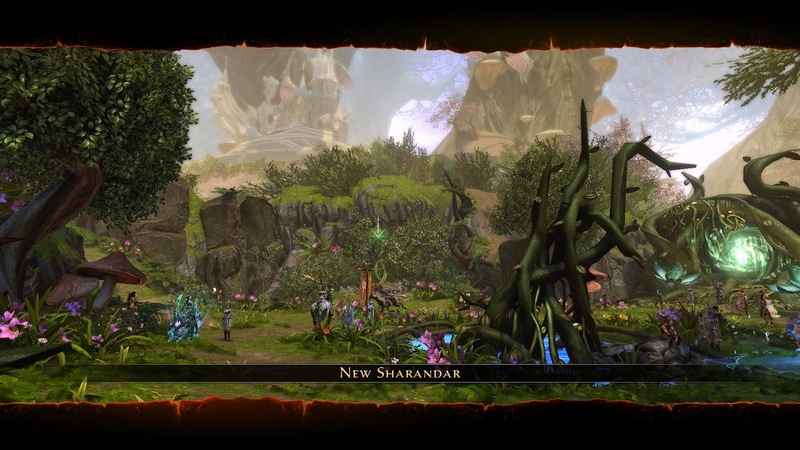 There are several daily areas, with the first one being Sharandar, which was released as part of the Fury of the Feywild module last year. It has some similarities to Star Trek Online's New Romulus daily area, both in theme (dispossessed people asking for help securing their new home) and execution (do dailies, collect various currencies, unlock rewards in stages by using a special UI). It's not without its issues, but it still feels like an improvement compared to STO, where I often found myself blocked by how much of a sheer (in-game) money sink it was to increase my reputation. You shouldn't have to do dailies to fund your other dailies. 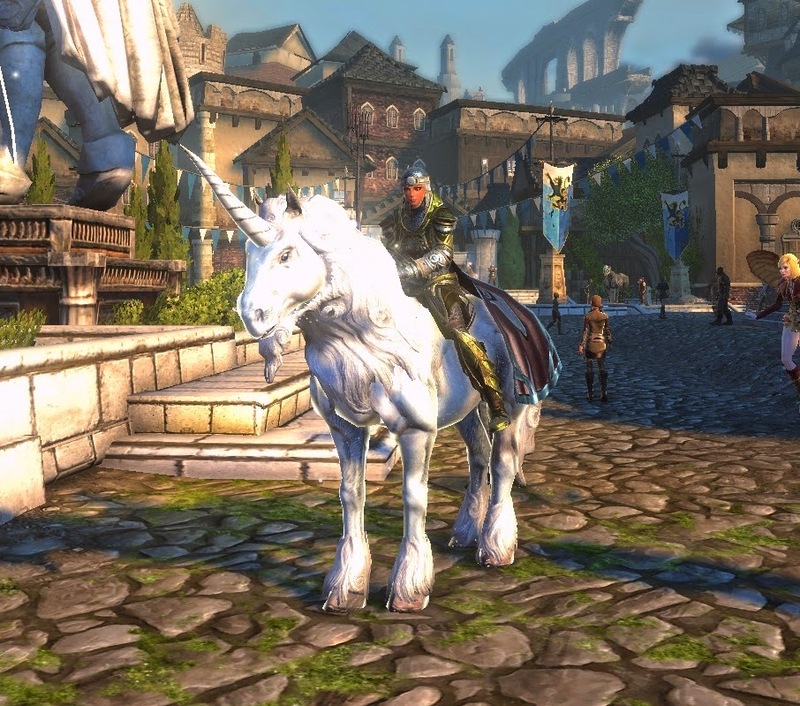 Of course it also helps that the combat in Neverwinter is more engaging than the ground combat in STO. We've also dipped our toes into the campaign areas that were released later, and it's obvious that Cryptic has already learned how to make the experience smoother and even more enjoyable. 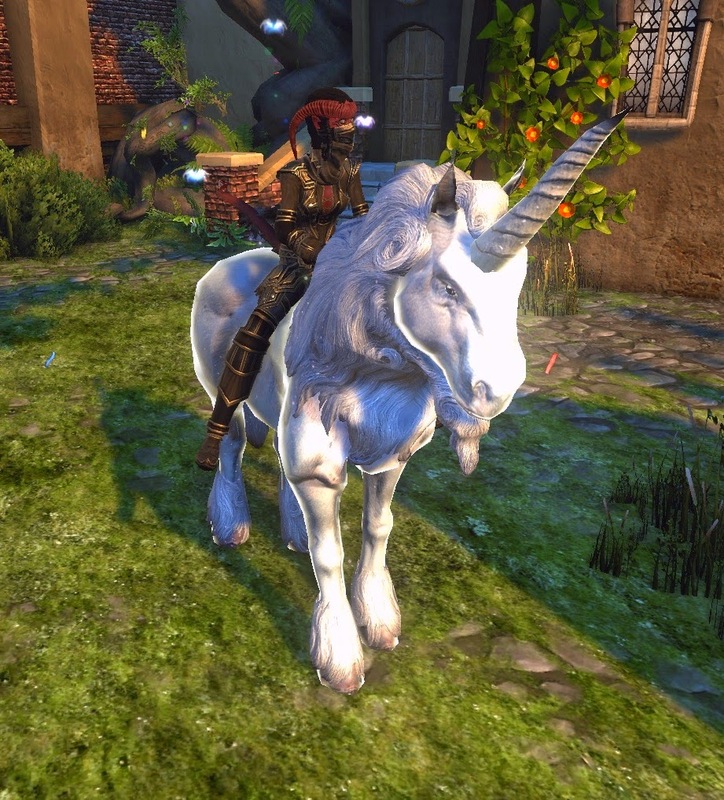 It's been about a month since I returned to Neverwinter, and since then I've played at least a little every day and been having a lot of fun. Since I was enjoying myself so much, I decided to spend some money on things that would help me enjoy the game even more, and to show Perfect World that I thought their game was worth paying for. I did find it notable however that buying the things I felt my character needed ended up costing me more than a six month subscription to a subscription MMO. I'm not saying that I regret any of my purchases, especially since I got bundles that were very good value compared to buying certain items individually... but it certainly makes you think about just how deceptive the "free to play" label can be. 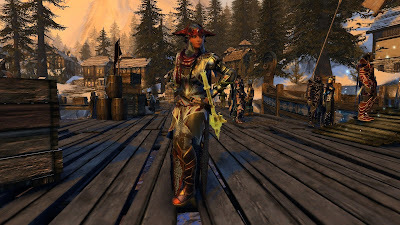 One thing I don't like about Neverwinter is the limited action set, meaning that while you have access to X abilities in theory, you can only have Y of them on your action bar at any time, with Y being a much, much smaller number than X. I can just about tolerate the system in this game (though I'll yell "Gah! Need to change my bars around again!" occasionally), but I don't understand why this seems to be becoming the new trend in MMOs. Supposedly it encourages interesting decisions. I disagree with this for two reasons. 1) A lot of the time, these "interesting" decisions are actually no-brainers. As a Devoted Cleric, it's obvious that I'll need some dps abilities while I'm out questing, but want to have heals available when I'm running a dungeon. All the limited action set achieves is that it forces me into a lot of frantic UI fiddling every time I get a dungeon queue pop while I'm out in the world doing something else. 2) When there actually are interesting decisions to be made because ability A might work well on the first boss, but ability B might be better for the second one... the decision of whether to use A or B would still be there even if I could access all of my abilities! I suppose you could argue that it's more "meaningful" if it has to be either-or, but in my opinion that additional meaning is not worth the drawback of having to constantly adjust your UI. In practice, what ends up happening to me at least, is that I just end up trying to eliminate the need for decisions (and the associated ability swapping) by building a set that has a little bit of everything, even if it isn't great for anything, and then never changing it again. In dungeon and skirmish groups, nobody ever seems to talk in this game. In other MMOs I hate this kind of antisocial behaviour, but in Neverwinter I can't blame people, considering that the action combat really doesn't lend itself to pausing to type something into chat - especially since the controls require you to effectively "tab out" of your character to access the chat box. On the rare occasion when something does need saying, such as when someone is overlooking a crucial fight mechanic that causes the group to wipe, typing feels clumsy and awkward, as if I don't really know how to talk to people in this game. On the plus side, nobody bothers to berate other players either. I've seen a lot of wipes and poor performances in group content already, but not once has anyone bothered to complain about any of it in chat, which makes the community feel strangely welcoming even in its complete and utter silence. Sometimes it pays off to read the loading screen tips. I was continually annoyed by the game's limited camera movement and how that made it really hard to take good screenshots of your own character - but as it turns out, hitting "B" will allow you to rotate and zoom the camera freely to finally get a better view after all. Not viable in combat obviously, but still useful for those show-off shots taken in town.